Do you prefer Indica, Sativa, or Hybrid cannabis flower? Does it matter to you? And what feeling are you seeking when consuming? Cannabis is an extremely unique plant. No two people have the same experience, and even if they could biologically-speaking, they still couldn’t, because each cannabis strain and each harvest is different. Cannabis is alive and constantly evolving. At Nice Guys, we recommend tracking your experience. It means you should take ownership of your cannabis use by becoming interested in what you’re consuming and tracking how it makes you feel (actually write it down). Become curious. 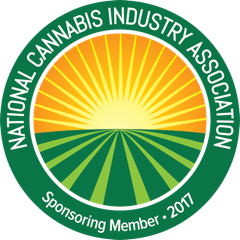 Ask your licensed cannabis provider questions and reach out on social media to start a dialog with others. Prohibition will end when more of us begin to open up and talk about all the ways cannabis helps our lives. The Original Story of 420: Meet the Waldo's!!! 420 is not code among police officers for marijuana smoking in progress. There are not 420 chemical compounds found in cannabis (there are more than 500). 420 is not the anniversary of Bob Marley’s death and the truth regarding how 420 became a symbol in culture is more adventurous than you’d imagine. The slang didn’t evolve from a group of couch-lock stoners. Instead it was formed by a group of young adventurous teens who liked to have fun and explore after school. When I first began my ascent into cannabis culture, I associated 420 slang with negative stereotypes surrounding cannabis. In my mind stoners were lazy, unintelligent, lacking drive, and mostly used by individuals seeking to escape “reality.” My view was narrow. As I began using the plant more frequently, I realized I preferred smoking weed and then doing something active. I was surprised the plant left me more adventurous than it did stoned. The Waldo’s (nicknamed Waldo's because they used to hang out together by a wall near their school) are the originators of 420 slang and what makes their story more fascinating is how it started in our local community (San Rafael). They recently spoke on a panel at Sweetwater Music Hall after a screening of “Weed the People,” which was the cannabis film Nice Guys Delivery sponsored during the Mill Valley Film Festival. For the Waldo’s in 1971, 4:20 was the time of day when the 5 of them met at the Louis Pasteur statue. Located outside of San Rafael High School they’d get high and begin a clandestine adventure to find "weed" with a treasure map! They played sports and had other after school activities, so they had to wait until 4:20 to begin. Their primary reason for meeting was because they received a map from a friend whose brother was in the U.S. Coast Guard. The map was supposed to lead them to a patch of cannabis growing somewhere in the Point Reyes Peninsula but there was fear that if someone else found it, it would be destroyed, so the boys went hunting! They began by saying “420 Louie” to remind one another of their after-school adventures, quickly realizing they could drop the “Louie” and continue talking about cannabis without anyone other than themselves knowing what it was they were discussing. The boys continued using 420 to talk about cannabis but it wasn’t until years later when they realized it had become a cultural symbol for smoking weed. When the guys were asked how it spread across the world, they mentioned their relationship with the Grateful Dead as probably being the biggest influence, but even they weren't sure. Meeting them after the event helped show their down to earth nature. They live and work in Marin and Sonoma counties. One of them is parenting two girls who attend the same high school they went to in 1971, which is pretty neat. But overall we enjoyed the event because it helped show a truer picture of cannabis-users, which isn’t the kind of stoners society paints cannabis smokers out to be! Thanks for reading! Please share if you enjoyed the article! Prepare for some adult fun! October is a great month for some warm-hearted fun. The days are getting shorter and the temperature is cooling, but that doesn’t mean the fun has to stop! In this article, we’ve put together a field guide helping you squeeze the most joy out of the final days before winter. Who says fun has to be reserved for just the kids? Below are the 5 best activities you can do while consuming cannabis this autumn. 1. 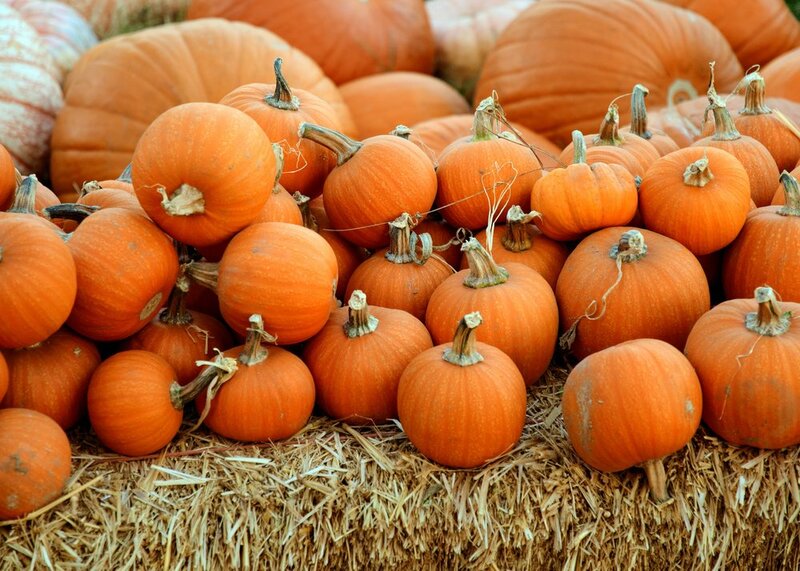 Visit the Pumpkin patch in Nicasio Valley and grab the perfect pumpkin for this year’s jack o'lantern. We suggest pairing Kinslips Cloud buster sublingual tabs with your trip to the pumpkin patch. They’re discreet and uplifting, you’ll unlock the creativity needed to carve the best pumpkin on the block. Open daily from 10am – 6pm throughout the month of October. 2. Who doesn’t love apple cider and doughnuts? Well what about apple picking while high on cannabis infused cookies? Head out to Chileno Valley Ranch and pick apples while snacking on your favorite Korova mini cookies to experience apple picking like never before. Once you’re done picking apples grab some cider and dip your cookies. You’ll thank us later! Open every Sunday from 9am – 3pm. 3. Enjoy a trip to Muelrath Ranch in Santa Rosa and warm your mind, body, and soul as you sip a cup of warm Kikoko tea and enjoy a Hayride through the Muelrath Ranch. After the ride you can also enjoy farm animals, a pumpkin cannon, bounce houses for the kids, and much more. Kikoko tea is the perfect companion to stay warm and relaxed during your ride around the ranch. Open daily from 10am - 6pm Sunday – Thursday; and 10am – 9pm Friday and Saturday. 4. Looking for a hay tunnel or corn maze to get lost in? Head back up to Muelrath Ranch in Santa Rosa and find your way through the maze. Want to add an extra element to the fun? Try pairing Kiva Confections Blueberry Milk Chocolate or Espresso Dark Chocolate terra bites to the equation. They’re only 5mg THC bites so take as little or as many as needed to find the perfect balance. Happy navigating! 5. The 41st Annual Mill Valley Film Festival is a great place to escape from the heavy work load to enjoy some films for a while. Want to really dive into the storylines being told? Grab a bag of Valhalla gummies to pair with your popcorn. Sweet and salty, plus a little cannabliss never hurt anybody. Nice Guys are proudly sponsoring this year’s festival which is going on from Oct. 4th – 14th throughout San Rafael and Mill Valley movie theaters. We recommend watching “Weed the People,” which focuses on cannabis’s ability to alleviate symptoms of cancer in afflicted children. The screening for the film begins Friday, Oct. 12th at 9pm and also plays at 12:15pm Saturday, Oct. 13th at the CineArts Sequoia theater. Thanks for reading! If you found this helpful please share it with your community! We also ask you to join us in ending cannabis stigma by following us on social media where we are promoting an active and adventurous way to explore cannabis! Welcome back to the “High Mileage Tour.” My name is Dan Osterman and I’m the Social Media Manager for Nice Guys Delivery. Two months ago, I drove my home on wheels away from Marin County to Michigan where I spent time with family and friends while preparing to ride my bicycle across the country. If you’re unfamiliar with the High Mileage series I recommend clicking here first. I’m officially on the road so this article highlights what I’ve learned about cannabis in Michigan and also gives you an eye into my bike touring experience. While in Michigan I spent time getting to know the cannabis scene. With recreational-use on the November ballot and with Michigan being projected as the second highest grossing legal market behind California, I was excited to return to my home state. Michigan is a “reciprocating state” meaning they are legally allowed to accept out of state medical recommendations but upon further inspection I found that it wasn’t that simple. I thought it was going to be easy to acquire green because I work in the industry and have a medical card, but every cannabis business I called on WeedMaps turned me away. When asked whether dispensaries would accept out-of-state licenses they said they didn’t know all the rules and regulations and they couldn’t sell to me because it was company policy. I mentioned Michigan being a reciprocating state, but they held to their word. No one had any real good answers beyond it being “policy,” so if I had to guess I’d say it’s because businesses are trying to play it safe until November when Michigan has the potential to join 9 other states and DC as legal recreational marijuana states. As much as I agree with being safe and doing everything correctly in the industry I’d like to point out the obvious issue we face from the wall of prohibition. What happens when a person with a chronic illness travels away from their home? Today, a lot of Americans are using cannabis to treat symptoms, illnesses, and pain. With prohibition in place it leaves far too many people suffering and unable to access quality medicine, and when people are forced to suffer they look elsewhere for alternative options, which in turn fuels the black market and illegal drug trade. The current situation is a mess! The High Mileage Tour is a bike ride to spread positive cannabis awareness across the United States. I’m sitting inside a McDonalds in Havana, Illinois writing this article and doing some work. I woke up in my tent this morning after camping near the Illinois River. Yesterday was my first official day on the bicycle. My friend picked me up from Michigan and drove me to Normal, Illinois so I could begin my tour from there. I biked 68 miles in 90+ degree heat. My bike is extremely heavy, so heavy I decided to dump a backpack worth of gear a few miles after initially departing. The bike was shaking in the front and I was unable to stand and pedal, but after I repacked everything on the bike it felt sturdy enough to ride. Packed on the bike I have my camping gear, cooking equipment, media gear, solar charger, and water. I am biking the first 1000 miles solo from Central Illinois to Denver, Colorado where I’ll leave my bike for a week and fly to California for the Mill Valley Film Festival Nice Guys is sponsoring this year. My route to Denver will take me across Illinois, Missouri, Kansas, and Colorado with 21,000 feet of climbing ahead of me. After time in California I’m flying back to Denver and joining up with a friend to ride our bikes together to San Francisco. There’s a good chance I’ll leave more gear behind before we climb the Rockies. Yesterday’s bike ride was spent traversing county roads of Illinois, so I saw a bunch of tractors, semis, and cornfields. One man ran out of his house and gave me a bottle of water as I rolled by. Later in the day I was riding on the shoulder of the road when a car honked and flipped me off. When I arrived in Havana a little before dark I found a place to camp, set up my tent, and then had dinner. It was so hot last night I didn’t fall asleep until after 1AM. For me to reach my flight in time I must average 43 miles a day. Yesterday I rode 68 miles because some days are work days where I spend a large chunk of the day working on Nice Guys projects and resting my body. Some days I’ll ride extra, some days I’ll rest. Illinois is medically legal, and I’ve spoken briefly to people about the plant and received positive feedback, but the next couple states after Illinois are both under prohibition and I’m excited to see what people think about the plant in states where it isn’t legal. The War on Drugs has ruined millions of people’s lives, so I feel extremely fortunate Nice Guys have given me this opportunity to ride my bicycle to positively impact cannabis perception! For a more intimate look into my journey I recommend following us on Instagram where I’m sharing photos, videos, and stories from my adventure! Thanks for reading! Join us on social media to help end cannabis prohibition through promoting an active and adventurous lifestyle!